Yes, SERVPRO of Brandon can clean your electronics along with many other items not listed below. We use the Ultrasonic machines and our trained & certified professionals. For all your cleaning needs call us (601) 829-2162. 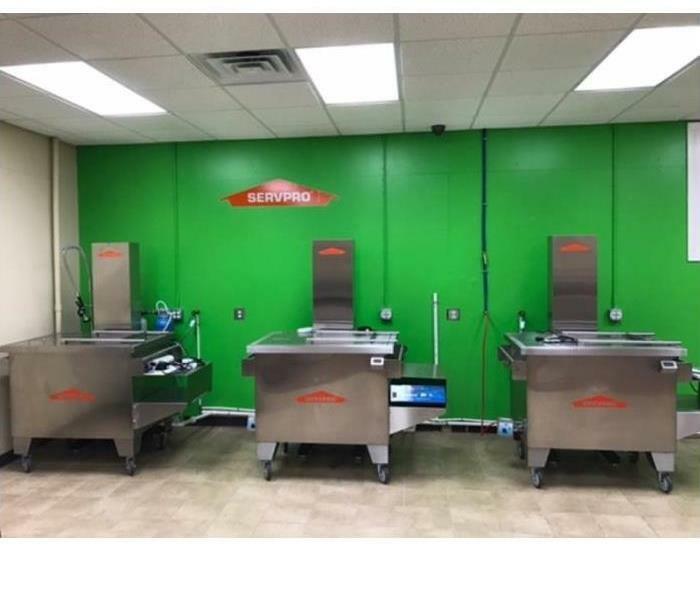 This is a picture of SERVPRO of Brandon's Morantz Ultrasonic Cleaning System, we use for contents cleaning, Our team is highly trained and has been certified by Morantz. No matter what; we at SERVPRO of Brandon have the experience and expertise to clean your contents from a fire, mold, water, dust, pets or even nicotine. 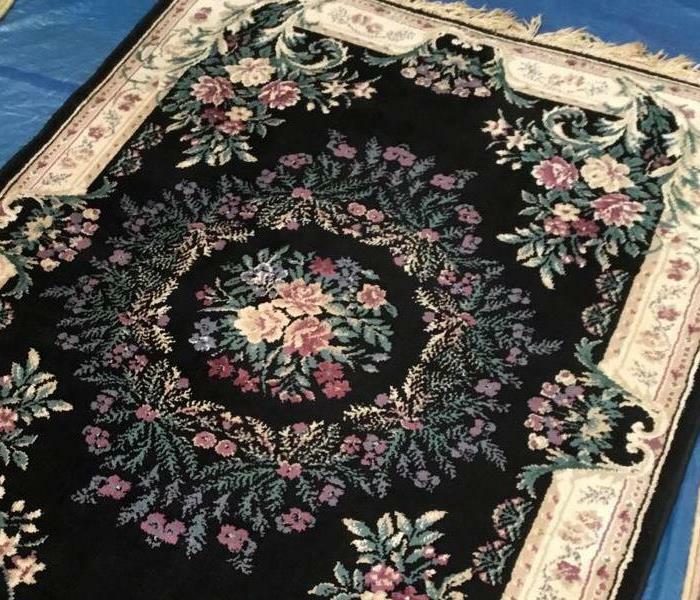 SERVPRO of Brandon cleans rugs and takes special care in the cleaning process of your contents. We have the trained professional technicians and the equipment to make our cleaning experience an enjoyable one. SERVPRO of Brandon takes care of you in your time of need. Like this home fire destroyed the materials of the home. SERVPRO of Brandon did the restoration and now the home is ready for the re-build. SERVPRO of Brandon specializes in mold cleanup and restoration. 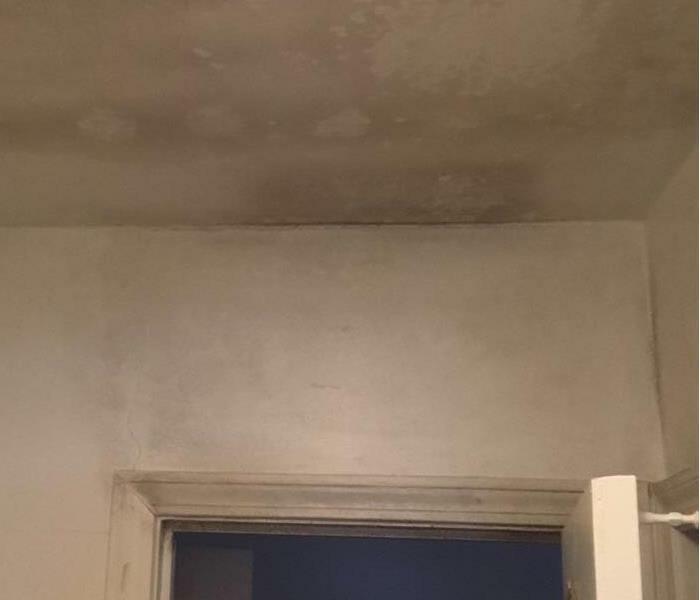 Our crews are highly trained restoration professionals that use specialized equipment and techniques to properly re mediate your mold problem quickly and safely. Call us 24/7 601-829-2162. 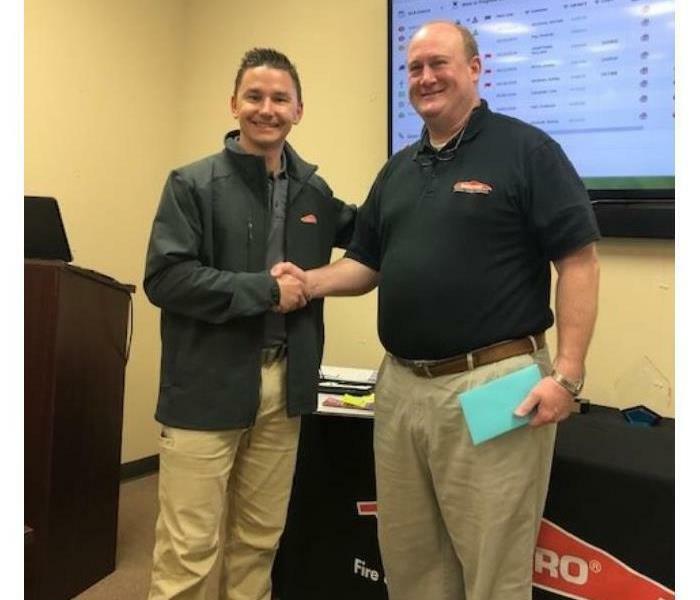 SERVPRO of Brandon 's owner recognizes Chris Burford for his 2 year work anniversary. We appreciate the hard work and dedication he gives everyday, looking forward to many more years. 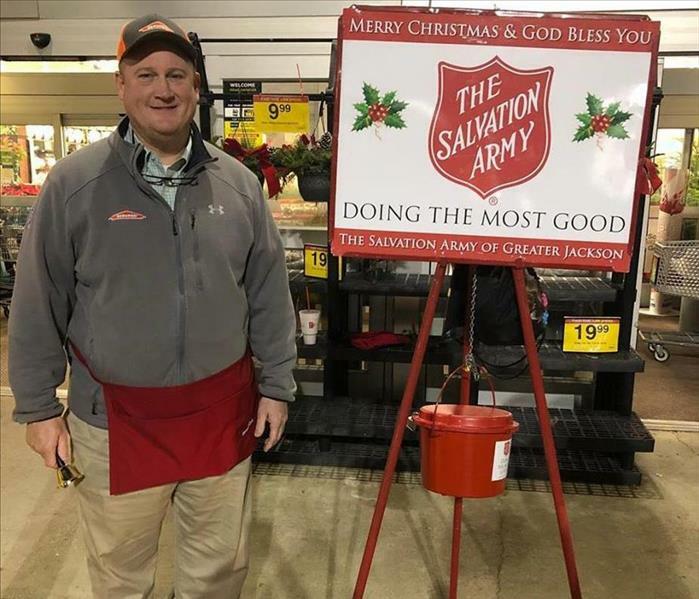 Chris Burford our Marketing Manager giving back to the community with the Flowood Chamber! One of our commercial clients had a water loss from their sprinkler system, it affected the entire building. 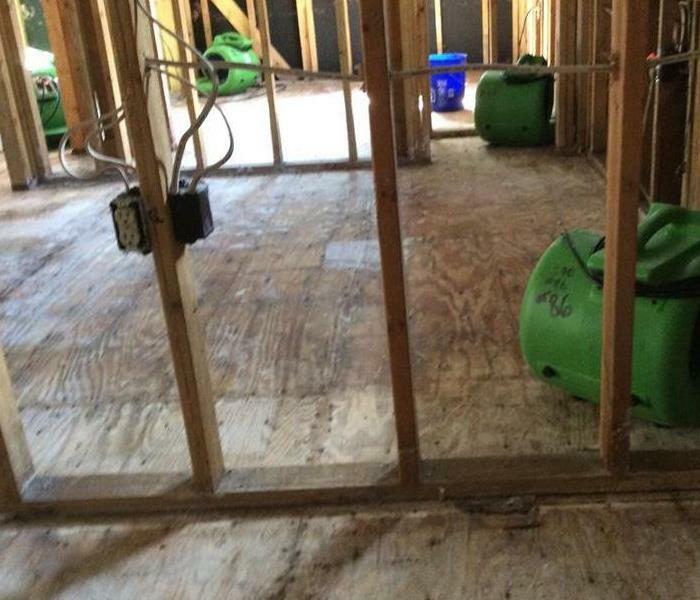 SERVPRO of Brandon cut and removed drywall, insulation, extracted the remaining water and dried out of the building. This was the aftermath of a water loss from a sprinkler system pipe burst at a local church. 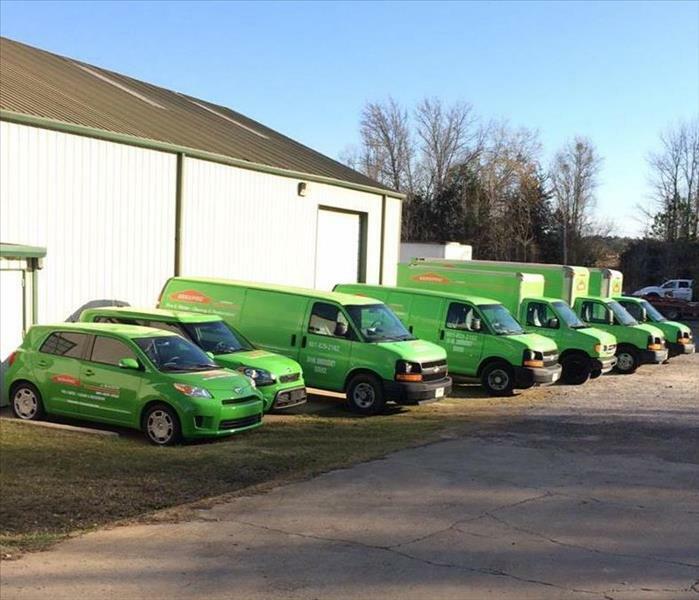 SERVPRO of Brandon recommends when the temperatures start to drop below freezing, business owners need to get their sprinkler systems inspected so they don't burst. 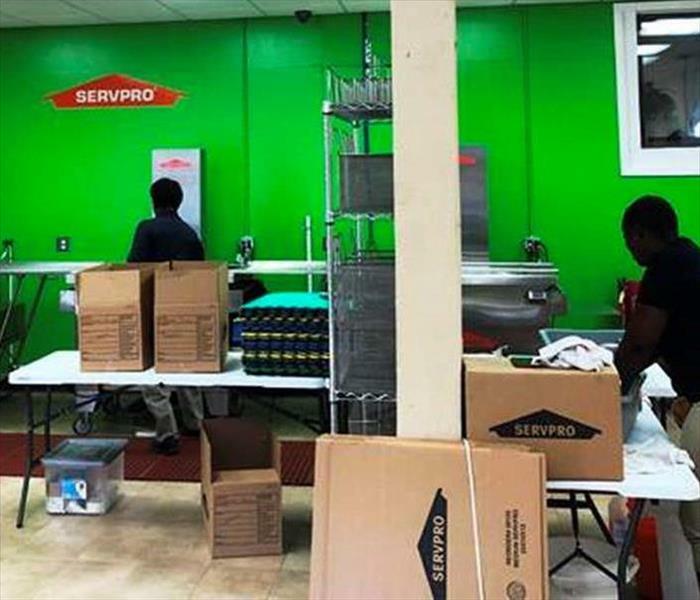 SERVPRO of Brandon crews are getting ready to start the clean up from a fire loss at a local business. 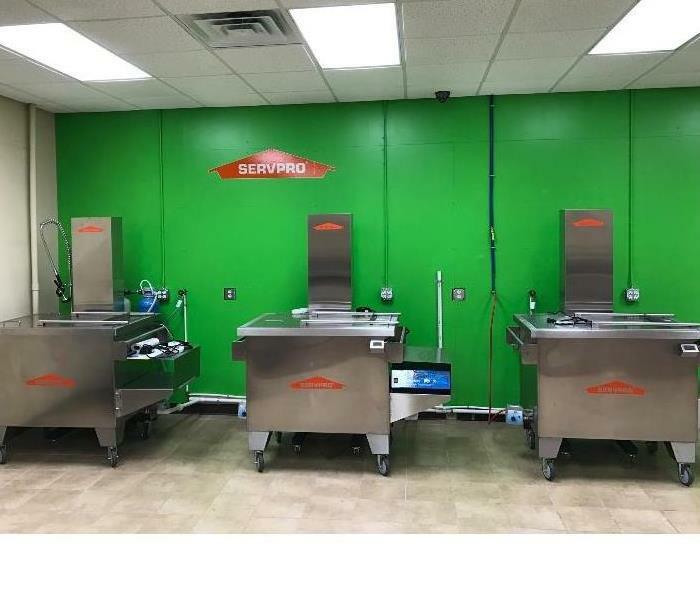 Depending on the size of the loss, sometimes we need the SERVPRO Large Loss Team to help our local branch with the restoration process. 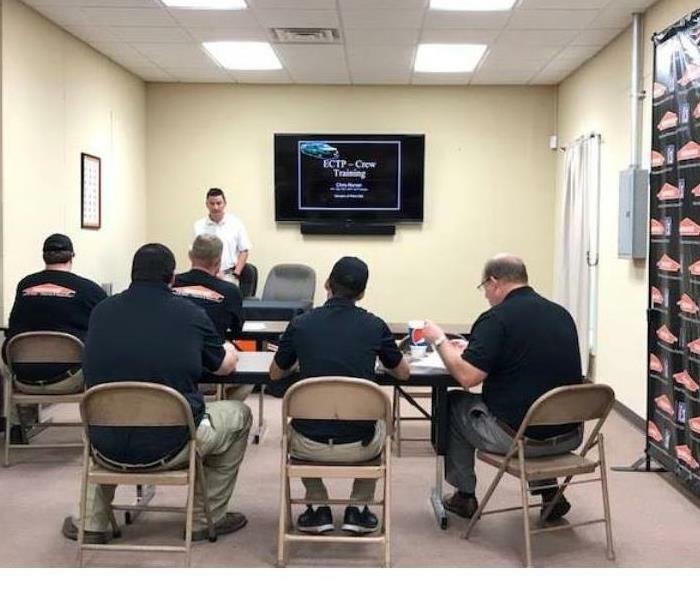 SERVPRO of Brandon believes in the training of their employees to improve efficiency, maintain readiness and to serve our customers with the best. Our trained Professionals are equipped with the knowledge to restore your property. Call us at 601-829-2162 for your needs. This SERVPRO of Brandon crew suits up for safety before mold remediation. 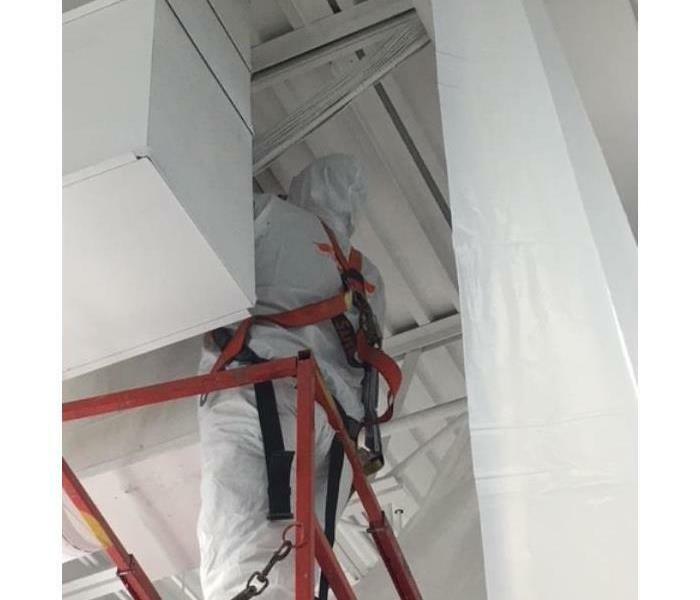 Tyvek protective wear with attached hoodie and booties, mask, & eye protection. 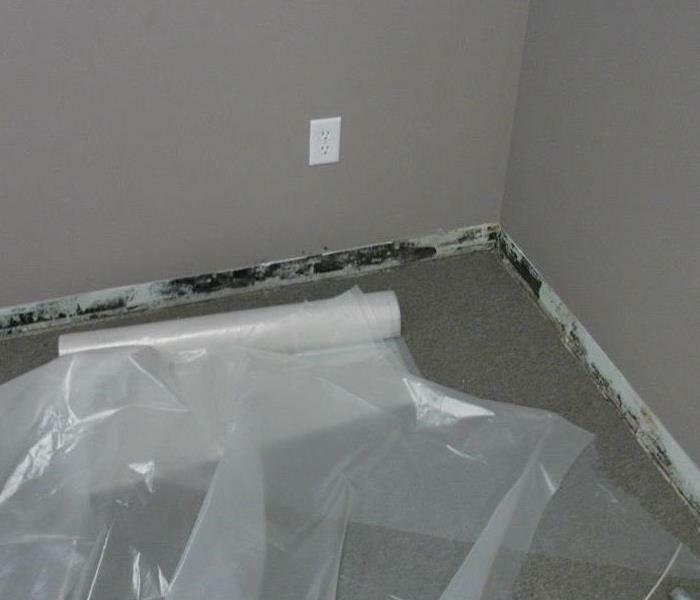 If you see mold or think you have mold in your home or business please call us 601-829-2162. Let the professionals handle for you. 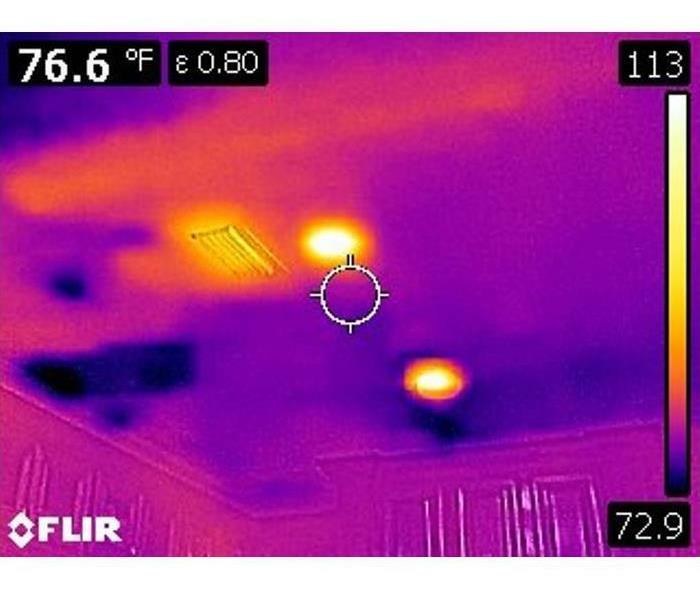 Thermal imaging is a great tool that we use to help us identify water damage in ceilings, floors and walls. By detecting the difference in temperature between a wet and dry area and moisture issues that are not visible on a limited visual inspection. The darker blue & pink colors are the cool areas that have moisture. 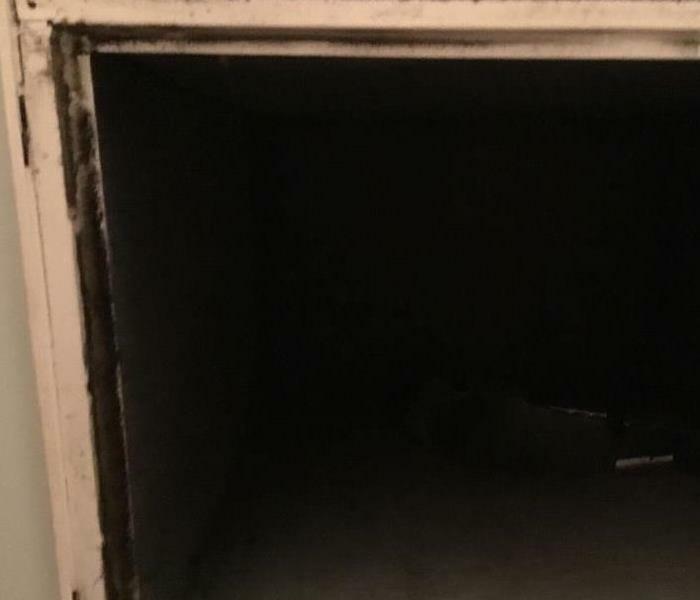 Smoked cabinets from a kitchen fire in Brandon, MS. Even if it is a small kitchen fire it can cover the entire room with a fine coating of soot. Call SERVPRO of Brandon for our professional help 601-829-2162. 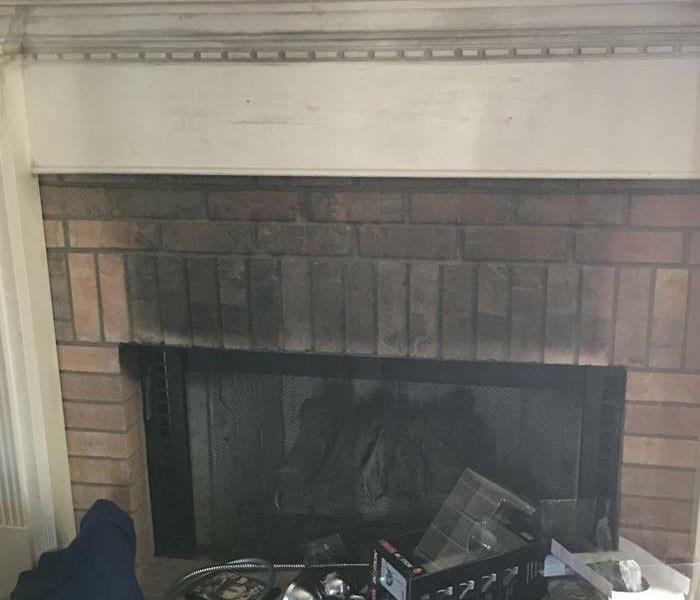 This was caused from gas logs in a fireplace. Soot from this puff back is just like any ordinary dust; it will start to cover the house lightly and get more heavy over time. Often, a strong odor will accompany the puff back. 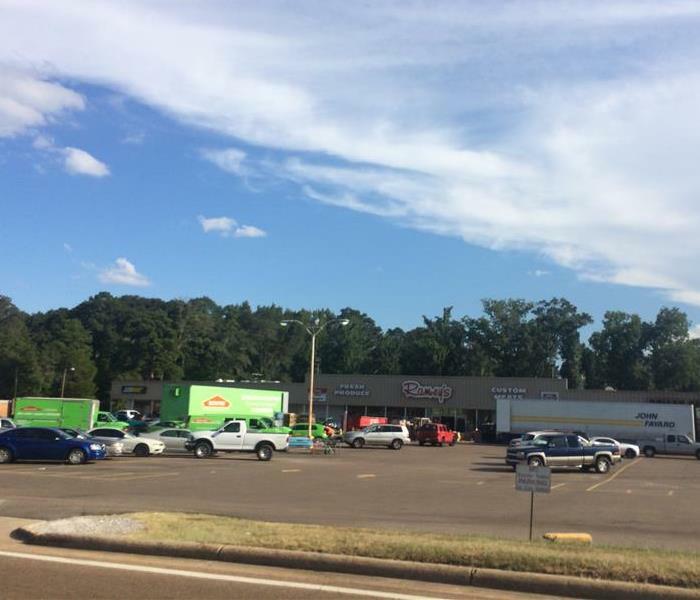 Call SERVPRO of Brandon for your emergency restoration 601-829-2162. Mold in air ducts most commonly occurs when there is moisture inside the ductwork. Call SERVPRO of Brandon 601-829-2162, if you see mold or mildew. We can handle this for you. We are always here to help! 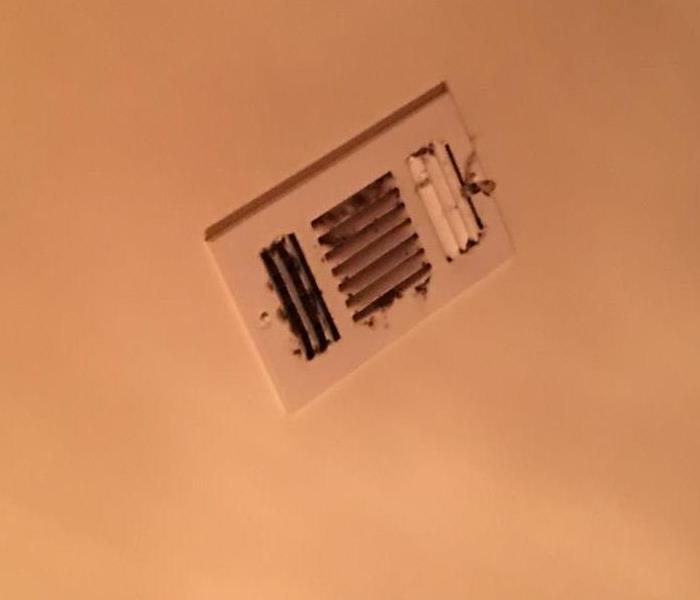 If you see mold in your vents of your home or business then it is time to have your air ducts cleaned. Call us here at SERVPRO of Brandon 601-829-2162 we have professional technicians that do the job! 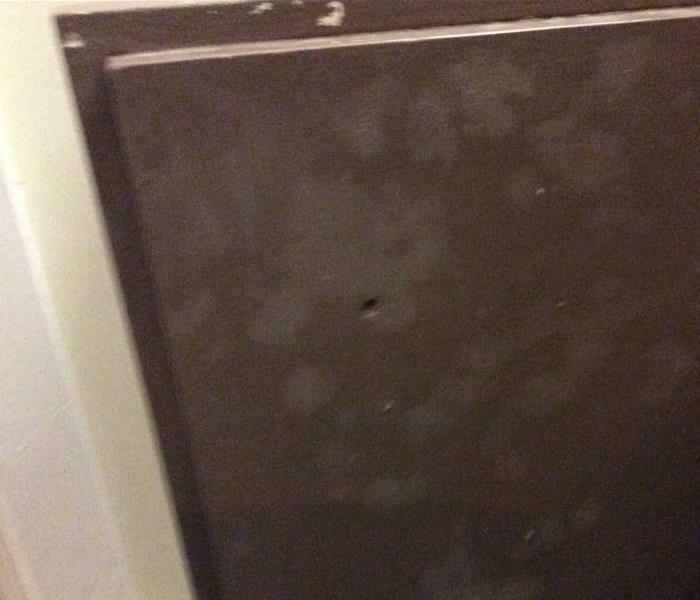 This photo shows mold on the cabinets in a bathroom. The cause is from a leaky sink faucet, the water ran through to the cabinets. 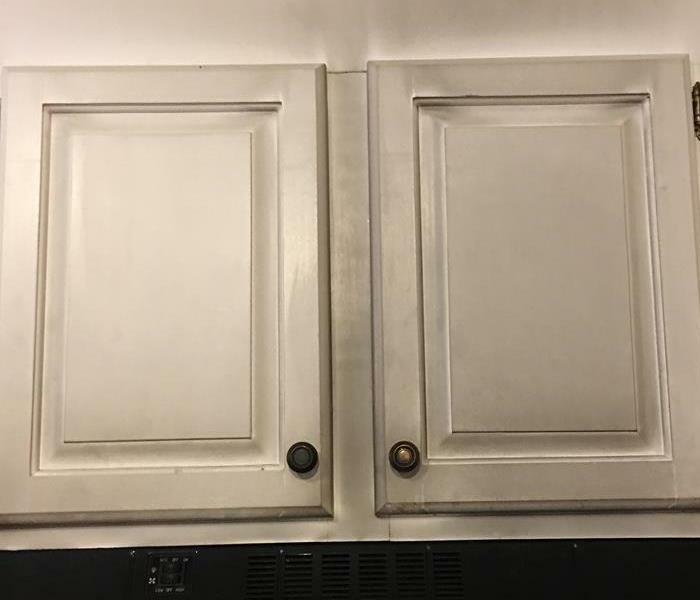 SERVPRO of Brandon removed the mold and dried out the cabinets. 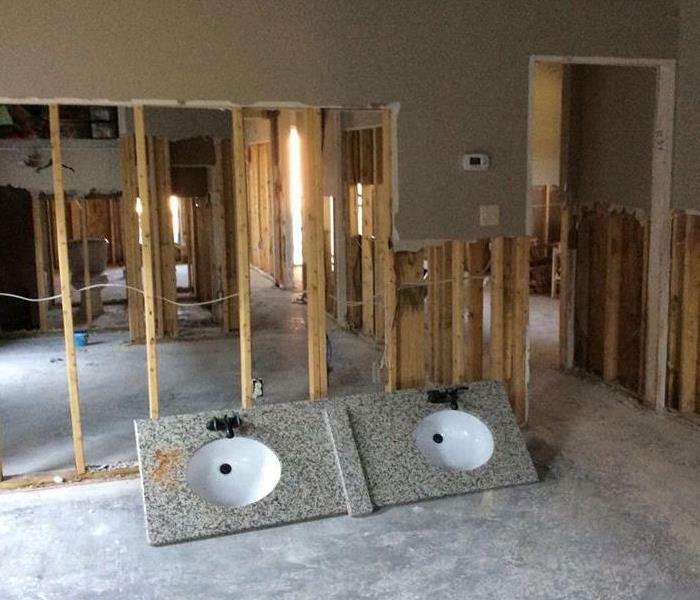 This home was affected with the contaminated water of Hurricane Harvey. 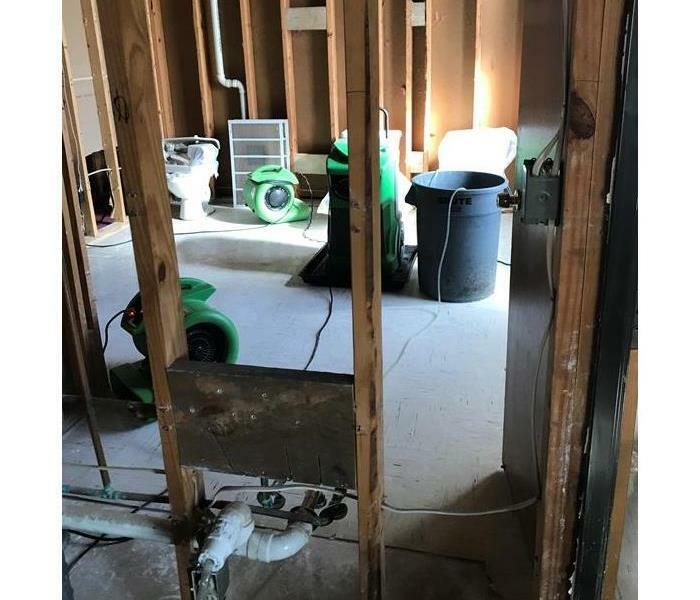 SERVPRO of Brandon was there to help by removing the wet walls, insulation, floors and to set the necessary equipment for the dry out. 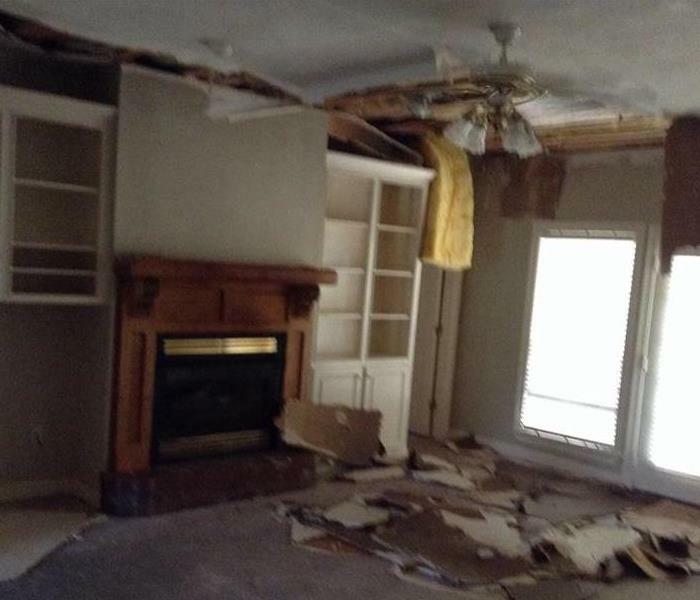 This home had rising water from severe thunderstorms in Rankin County. SERVPRO of Brandon was called to mitigate the loss.Our team of professionals removed all the wet materials and dried out the home. 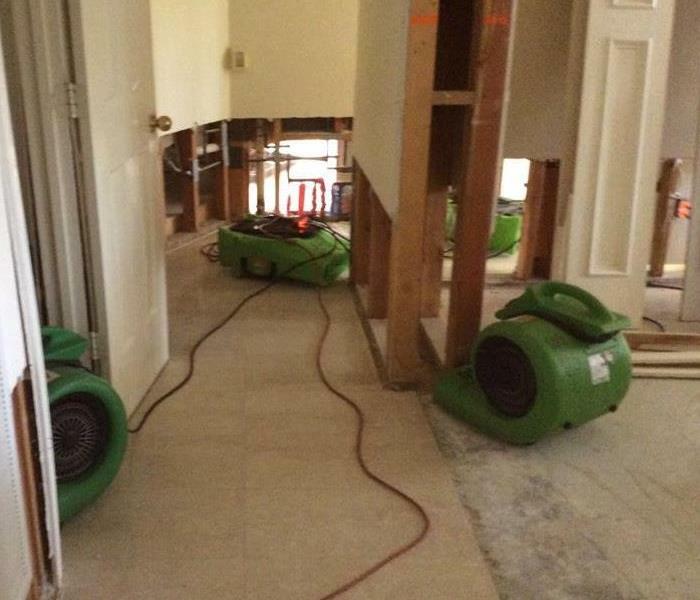 When a disaster strikes like a Hurricane and brings rising waters, SERVPRO of Brandon can help. We have crews ready 24/7 to be there for You and help with the remediation process. Floodwaters damage materials in your home or business, like mud, silt, unknown contaminates. Later can promote mold growth if not attended to quickly. 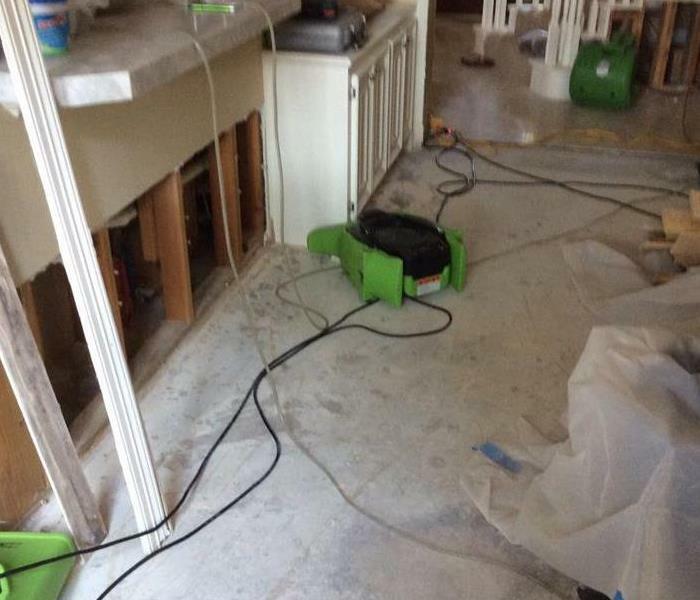 SERVPRO of Brandon will remove the wet damaged materials and dry your home or business to reduce these hazards. Wood floors buckled in this Brandon home, due to a water damage, caused from a broken hose in the a/c closet. 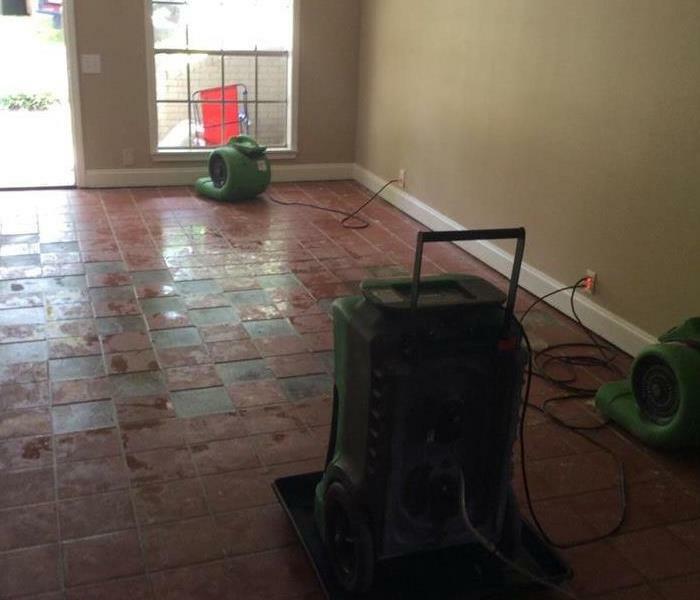 SERVPRO of Brandon removed the wet wood floors and set drying equipment. 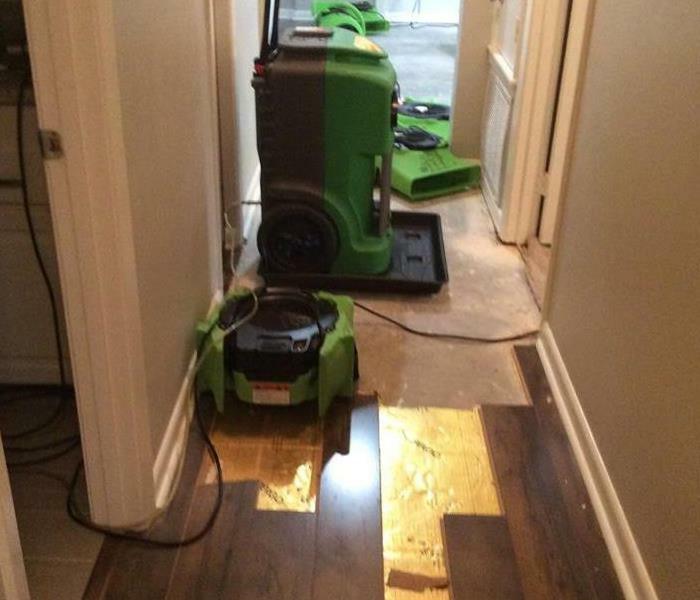 This family's residence experienced a water damage after a pipe broke in the wall. SERVPRO of Brandon was called to mitigate the loss. 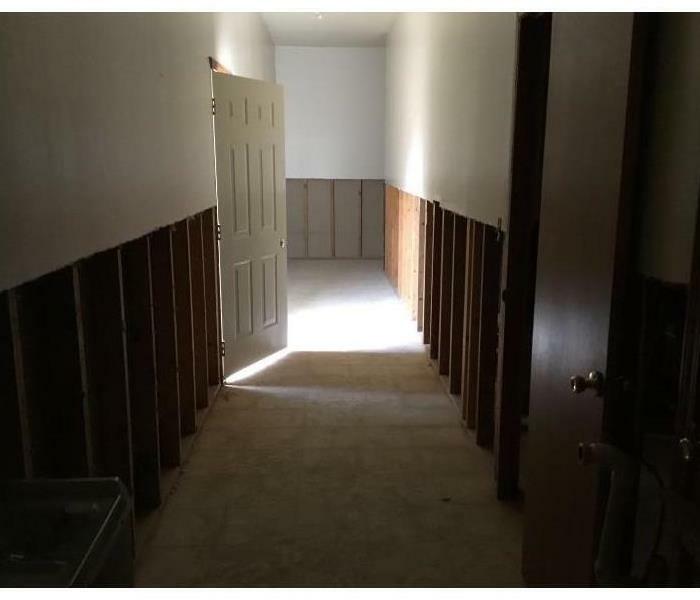 We extracted the water, removed some flooring tiles, then dried the carpet and walls in place. 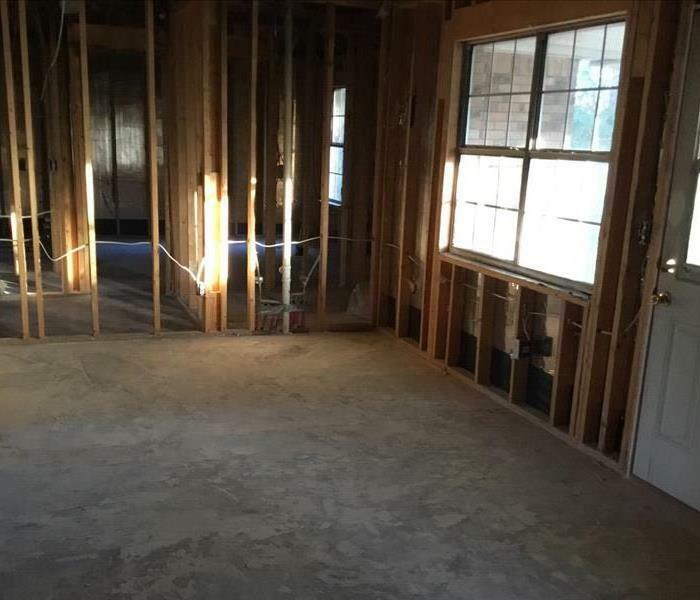 This Rankin County Home had water damage due to a dishwasher supply line had broken.We arrived at the job site and started extracting water immediately, we removed affected trim and treated with antimicrobial agent. 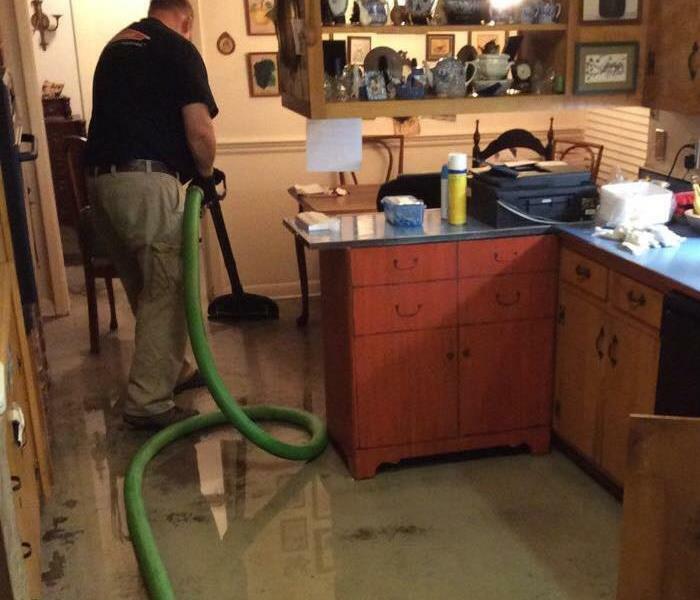 Brandon home suffered a severe water loss from a sink overflow on the second floor, affecting the entire home. We removed all the wet materials and dried out and applied antimicrobial. 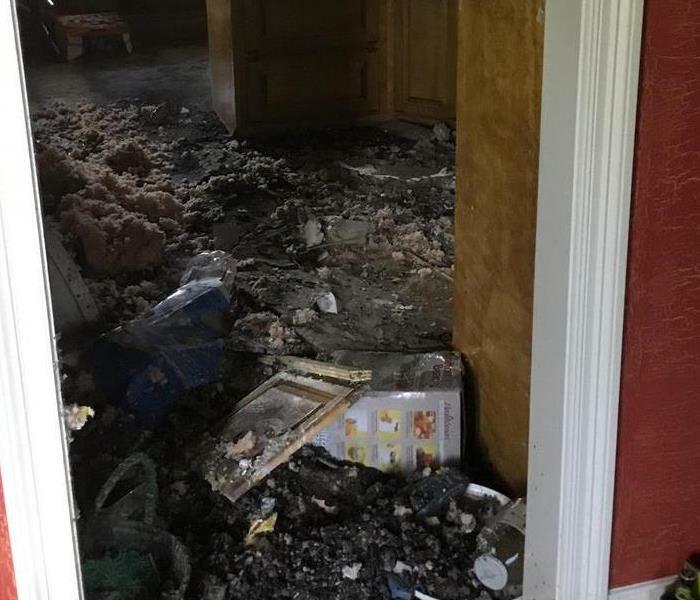 This home had a grease fire in the kitchen! Cooking fires are the number one cause of home fires. The leading cause of fires in the kitchen is from unattended cooking. Be safe, think safety while cooking. The photo shows the aftermath of a fire from electrical wiring in a television. Unfortunately it destroyed the home to a total loss. 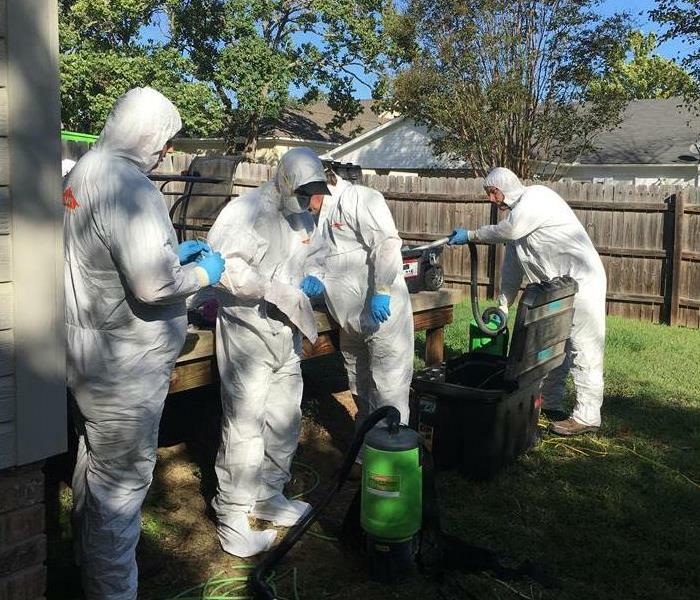 SERVPRO of Brandon packed out the salvageable contents, disposed of the non-salvageable items. After cleaning the salvageable, the items were kept in storage at our facility, till the customer was ready for them. This commercial mold job was caused by an on going leaking toilet. 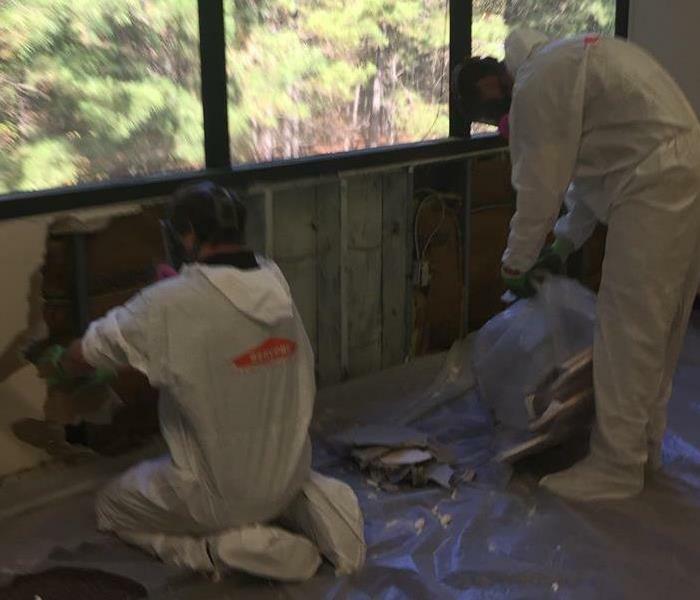 Our SERVPRO of Brandon mold technicians set up containment in the affected area and proceeded with the mold remediation process. 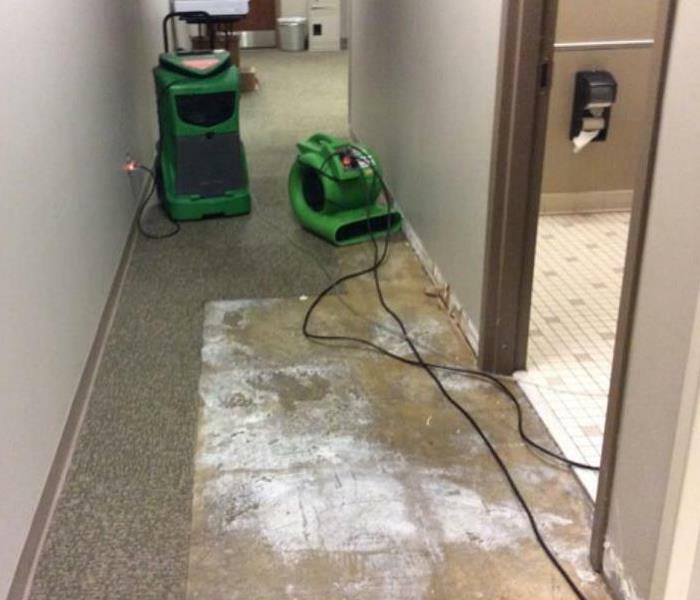 This commercial water loss was due to a bio-hazard in the clinics bathroom. Our trained techs cleaned the affected floor area, removed affected carpet, dried out and treated with antimicrobial. 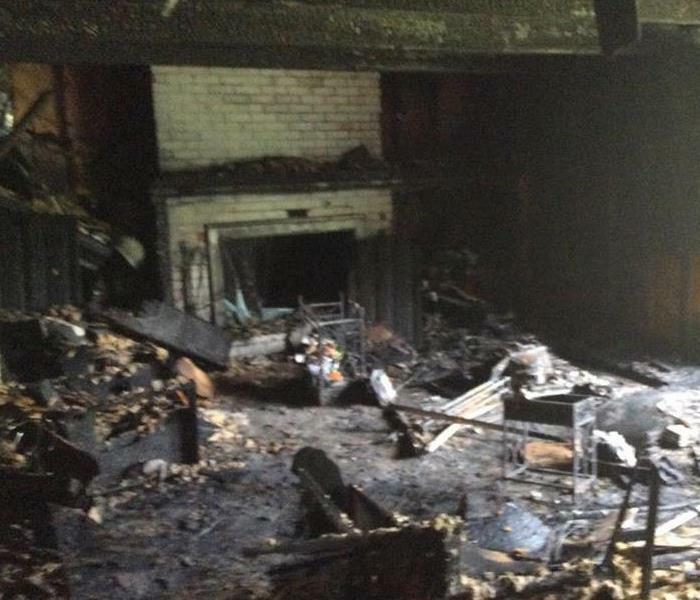 Fire damage in this Rankin County Apartment was from a cigarette that was left burning in the ashtray. Affecting two other apartments. SERVPRO of Brandon fire and smoke technicians did the fire damage restoration clean up. 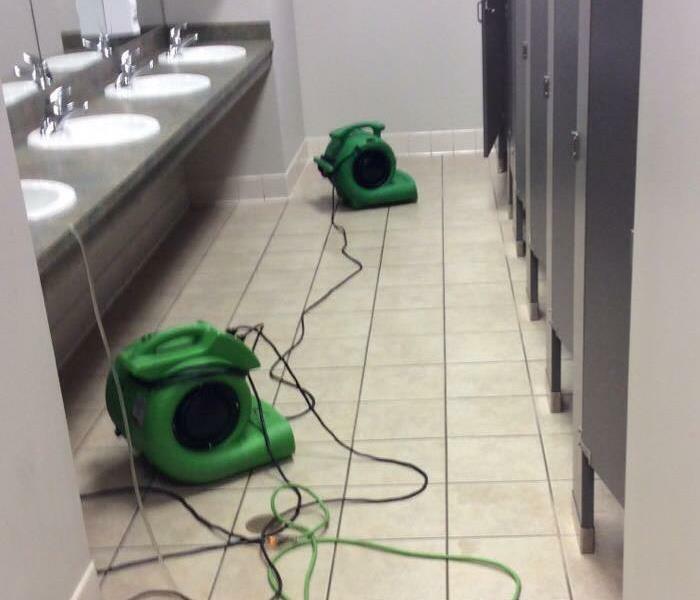 The leak was from a toilet overflow in the bathroom of a nearby church. Affecting a couple of offices, hallway and storage area, all with commercial carpet. We treated with anti-microbial and dried out the area. Newest addition to our fleet. Cool looking wrap! We recently purchased "The Ultrasonic Cleaning System." We can clean window blinds, electronics, textiles and much more with this system. It is faster, easier more efficient and more effective with the ultrasonics than with any other process. This was a local grocery store in Brandon, MS. that had smoke damage from a fire in the building next door. SERVPRO was on the scene with our mobile command center. 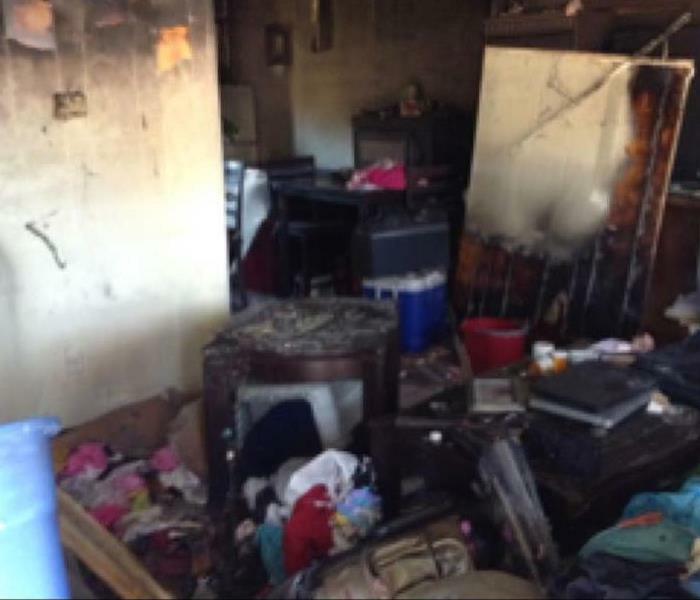 Fire & smoke damage can be extensive in the cleanup process. 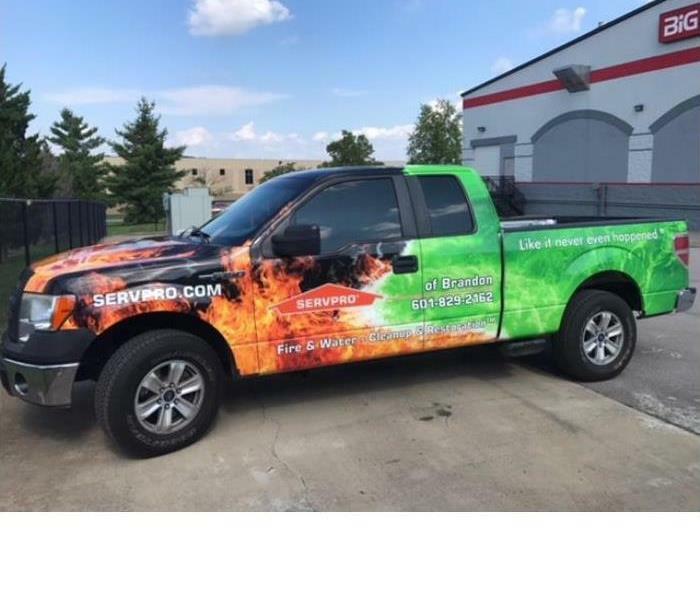 SERVPRO of Brandon has the training, knowledge, experience and the manpower it takes to do the cleaning from a smoke or fire damage and get you back into business as quickly as possible and back to normal. Our supervisors are trained to perform quality re-inspections. 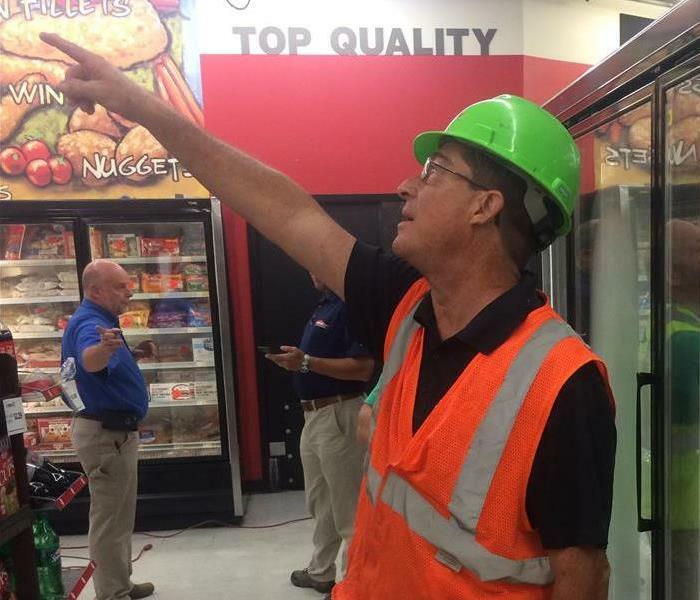 This is one of our supervisors during a re-inspection at a Grocery store fire cleanup. The job demanded cleaning in tight spaces. Our Fleet is reliable, available and ready to roll 24/7, 365 days a year. With our GPS tracking we can accommodate and respond to your needs quickly and professionally.